The festival of Janmashtami celebrates the birth of Lord Krishna. According to Hindu mythology, Krishna-the eighth avatar of Vishnu appeared on earth on this auspicious day. Also known as Krishnashtami, Krishna Janmashtami, Ashtami Rohini, Gokulashtami or Srikrishna Jayanti, across different regions of India, Janmashtami is observed in the new moon phase (Krishnapaksha) of the Bhadrapada month in the Hindu calendar. Although the birth of Krishna is celebrated with much fervor and devotion all over the country, the festival finds more prominence in Mathura and Vrindavan. Located about 11 Km north of Mathura, on the banks of the Yamuna River, the holy town of Vrindavan is the place where Sri Krishna spent his childhood and teenage years. In Vrindavan, the Janmashtami celebrations begin ten days in advance, with various rituals and festivities carried out all through. Traditionally, Janmashtami is the most important festival for the Vaishnav community. 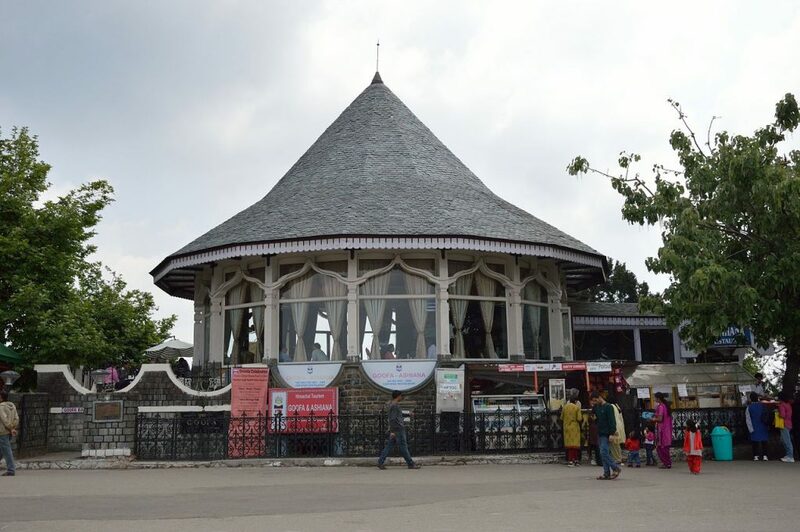 But devotees, travellers, and pilgrims from all over the country and other parts of the world throng to this holy place to witness the festival. During these ten days, the town comes alive with the chimes of temple bells and religious music. 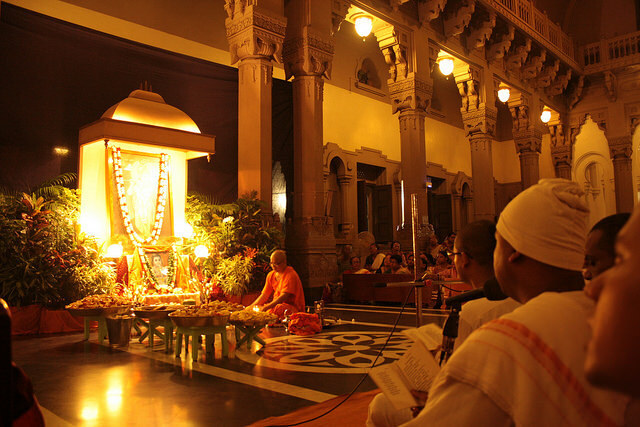 As an age-old practice, the priests gather in temples and chant shlokas from the Bhagavad Gita. On the day before Janmashtami, the devotees and pilgrims observe fast or upavasa and offer prayers at the local temples. This is followed by a night vigil or jagarana beyond midnight. According to mythology, Lord Krishna was born at midnight, and devotees stay awake all night to observe the moment and welcome the newborn Krishna with devotional songs, aarti, a recital of the Bhagavad Gita, and other religious ceremonies. The next day the main festival or Mahotsav is celebrated. 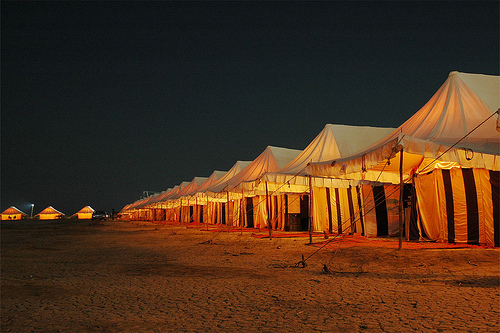 There are more than 4000 temples in Vrindavan, each celebrating the festival with piety and grand ceremonies. Of these, the most prominent ones are the Ranganathji Temple, ISKCON Temple, and Radharaman Temple, where you can experience the most iconic celebrations of the birth of Krishna. Various religious rituals are carried out on the day of Janmashtami, the most significant one being the Abhishek- a ceremonial bath of the newborn Krishna. At midnight, during the time of Krishna’s birth, the temple priests bathe the idol of Krishna in milk and curd- a traditional practice of Abhishek. 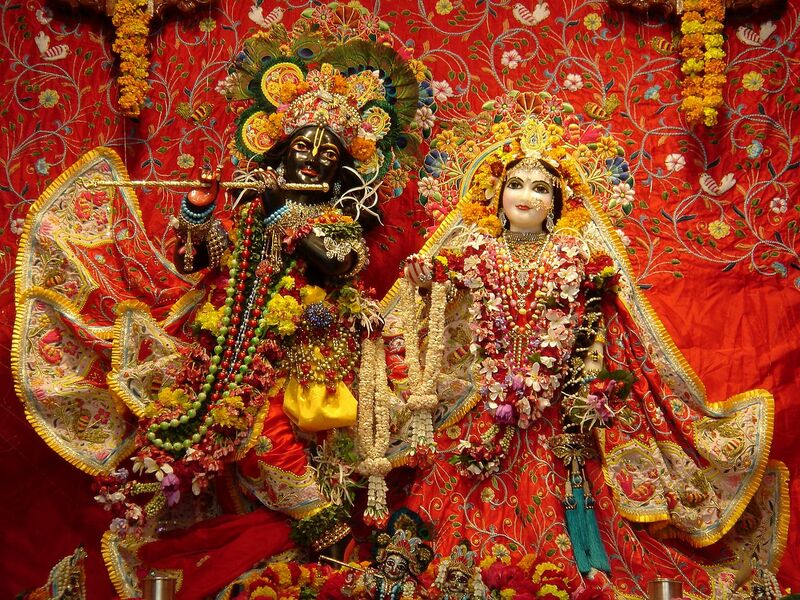 The idol is then adorned with new clothes and placed in a beautifully decorated cradle. The cradle is an important element of Janmashtami celebrations across multiple religious sites and households. Devotees adorn small cradles with flowers, streamers, and lights, and place an idol of baby Krishna. It is believed that those who rock the cradle of baby Krishna on the day of Janmashtami will have their wishes granted by the Lord himself. Another important aspect of Lord Krishna’s life is Rasleela, or his playtime with the beloved Gopis (friends). 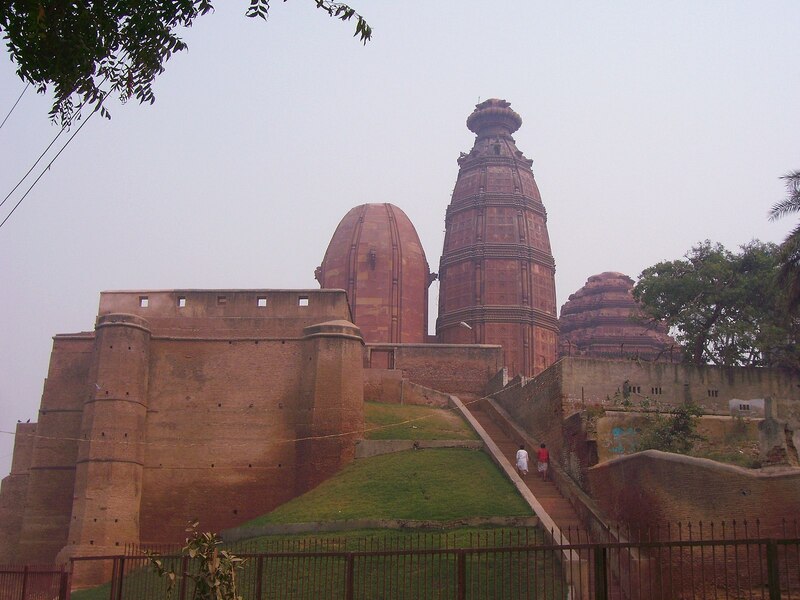 Madhuban, a small forested area near the Yamuna River, is said to have been Sri Krishna’s playground as a young boy. The entire area is illuminated during the ten days of Janmashtami celebrations and becomes the setting for mythological plays and dramatic performances. Various local artists and musicians come together during the festival and act out scenes from the Mahabharata and Sri Krishna’s Rasleela. 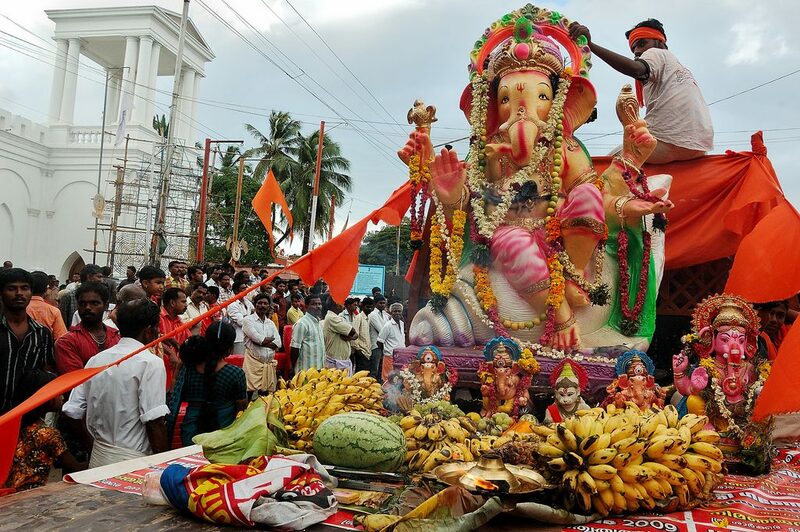 The events attract a huge number of tourists along with devotees. If you want to witness the colorful festivities at Madhuban, it is recommended that you visit during the daytime, since local mythological folklores prevent people from exploring the area after sundown. 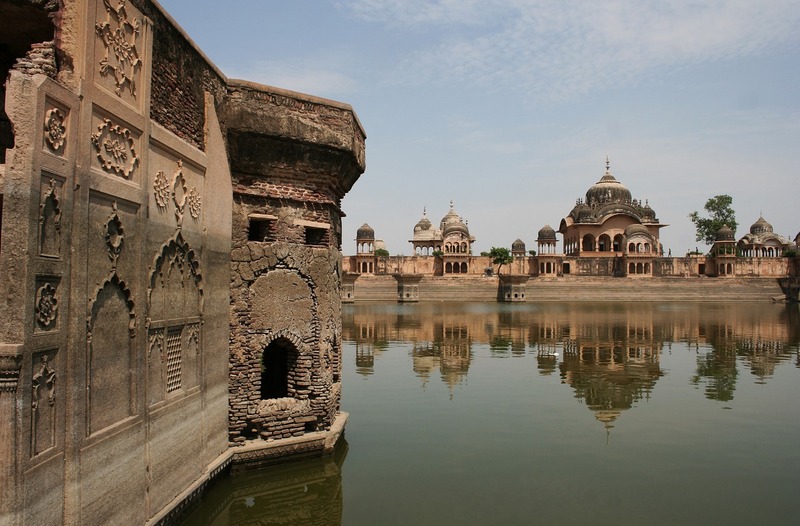 The small settlement of Vrindavan is synonymous with Lord Krishna and the adventures of his youth. And if you want to experience the town in its true glory, Janmashtami is the best time to visit and absorb the divine energy of the place. Savaari will make your journey to Vrindavan comfortable and hassle free. Book a cab from Delhi to Vrindavan with our new seasonal discounts. Janmashthami celebrates the birth of Lord Krishna. Vrindavan in Mathura is the birthplace of Lord Krishna hence it is the epicentre of these celebrations.